Showing 33 articles from August 8, 2018. LOUISBURG -- A difficult bidding environment has apparently driven up the price for a park project that was initiated by the dying request of a Louisburg businessman. On Monday night, the Franklin County Board of Commissioners agreed to award a $695,000 bid for the first phase of Owens Park to Cadet Construction and a $79,853.16 contract to Carolina Parks and Play to install a playground at the north central Franklin County park. LOUISBURG -- During the trial of Garry Yarborough, doctors called upon by defense attorneys found that he suffered from post traumatic stress disorder and dissociative matters when he killed Tracy Williams in the summer of 2015. Doctors who evaluated the 38-year-old for the state drew no such conclusions -- testifying that he was cognizant of his actions before, during and after shooting his estranged girlfriend in the back of the head. Franklin County's true horse power! LOUISBURG -- There are draft horses, colts, mares and fillies. Late last week, though, mudders were on full display -- but they were the spectators, not the main event. The Franklin County Cooperative Extension held its 23rd Horse Farm Tour on Aug. 3 and about 80 people signed up for the event -- one of the larger crowds in recent memory. 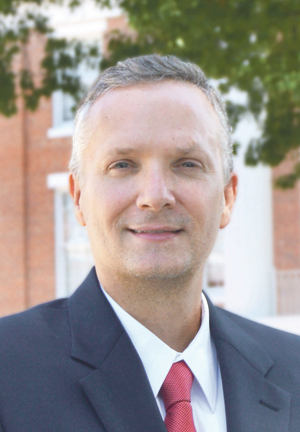 LOUISBURG -- Louisburg College has a new spokesperson. It announced this week that Curtis Hayes has been appointed as its new Director of Communications. His first day on campus was Aug. 1. Hundreds of area firefighters from at least 25 agencies worked to control this barn fire last week. The fire was blamed on a lightning strike that ignited stored hay. The barn, owned by Talmadge Burgess, was actually in Vance County but is in the Epsom Fire Department's district. LOUISBURG -- Franklin County management said spending $169,000 was good news for the county. That's because it meant the State Board of Transportation awarded the county a $1.52 million grant to overhaul its airfield lighting system. LOUISBURG -- The race for Franklin County sheriff could become a three-candidate race. Already, voters will get to decide between Incumbent Sheriff Kent Winstead and challenger Jerry Jones in the November election. On Wednesday, former sheriff's deputy and retired Franklinton Police Officer Tim Strickland filed a petition to run as a write-in candidate for sheriff. An Eastern North Carolina landmark recently burned to the ground, the victim of either a bad extension cord or lightning, authorities said, although the cause is still undetermined. The Cypress Grill was a landmark along the Roanoke River near the tiny town of Jamesville -- and was "the place" to go for herring since its founding back about 1936. It's hard not to cringe in fear when it appears we may be in for another round of business mergers, sales, consolidations and, inevitably, closures that help pay for the mergers, sales and consolidations. As we've reported, Louisburg has lost its Rite Aid drug store, a longtime, successful business that fell victim to one of these deals. 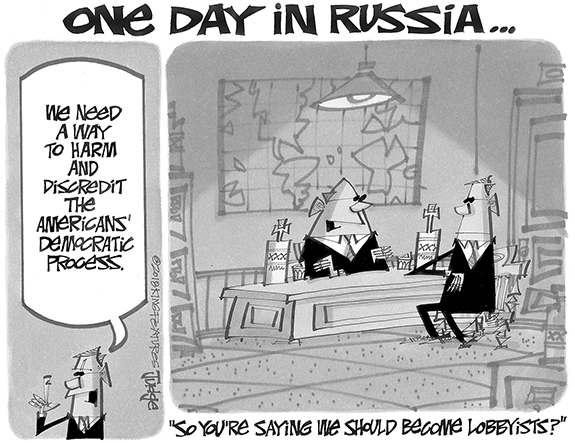 Reading headlines coming out of Chicago over the weekend has been sobering. According to reports, at least 72 people were shot in the country's third largest city. Twelve of those resulted in fatalities. You have been warned, but were you listening? The words, a clear and present danger, are ominous and command attention. 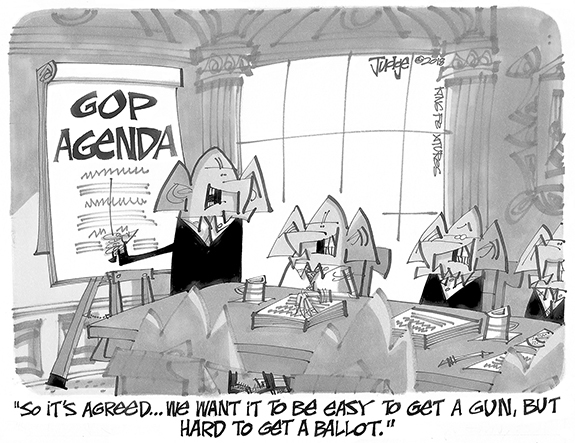 They serve as a warning of what will come if action is not taken. Danger close in the military is a fire command segment used to alert caution with artillery, close air support, naval gunfire, and other fire mission commands. This indicates that friendly forces are within close proximity of the target. 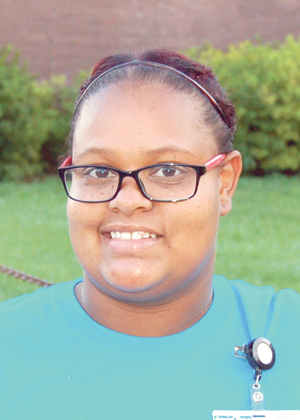 ROCKY MOUNT--Funeral services for LeRhonda Renee Hedgepeth, 28, who died Saturday, Aug. 4, 2018, will be held Sunday, Aug. 12, at 3 p.m. at Greater Joy Baptist Church in Rocky Mount, with Bishop Shelton Daniel officiating. Burial will follow in Oakland Cemetery. NOW LISTEN UP. Louisburg High School lineman Aldo Jennings listens to instructions during a blocking drill as part of a recent football practice session at Warrior Field on the LHS campus. LOUISBURG - Fans of the Louisburg Warriors will have to put in a bit of an effort in order to see their favorite football team -- at least in the preseason. 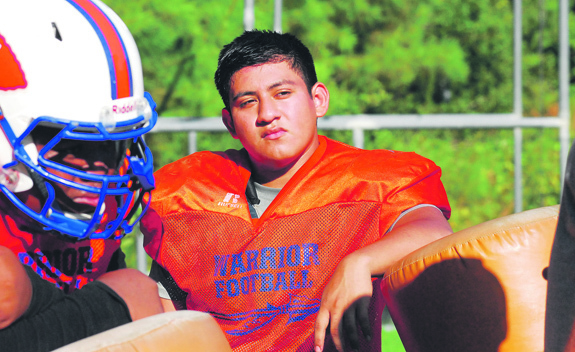 The Warriors kicked off scrimmage week action Wednesday by taking part in a jamboree at Hertford County High School in Ahoskie. Friday's trek won't be any shorter as Louisburg will be in action at South Creek near Williamston. South Creek is coached by former Franklinton assistant Will Harrell. 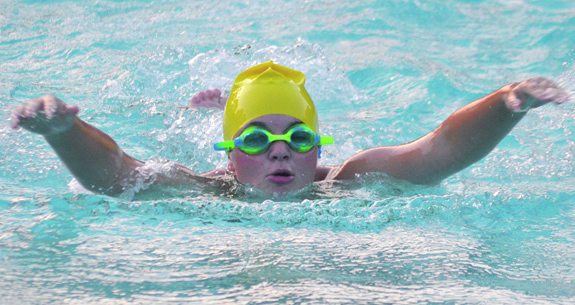 LOUISBURG -- The Town and Country Stingrays wrapped up another successful summer swim campaign recently with a home victory against the Franklinton Frogs. The Stingrays earned a 280-68 decision to close with an impressive 5-1 overall record. Nicki Marshall served as the head coach this summer for Town and Country and was assisted by former Louisburg High School (and current Barton College) swimmer Shelby Cash. ONE MORE YEAR. Lauren Esselborn (center) and Rachel Black (right) will be veteran seniors this season for the Franklinton cross country squad. 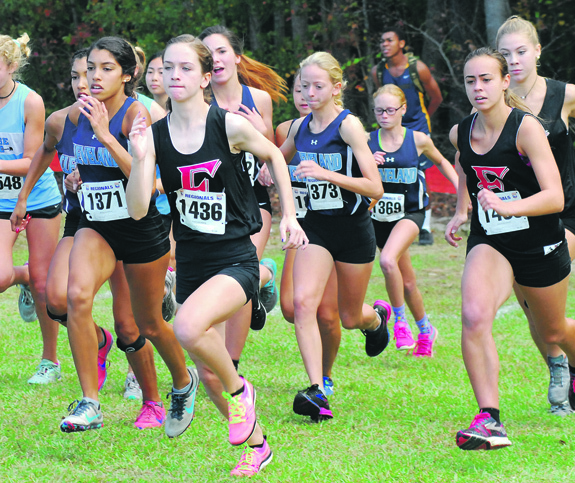 FRANKLINTON -- Numbers don't lie in Clennie Wilkins' quest to build his Franklinton High School cross country team into a powerhouse in the tough Big East Conference. Last year, Franklinton made the move up from the Class 2-A Northern Carolina Conference to the Class 3-A Big East -- and experienced an uptick in competition. ZEBULON -- Braden Webb struck out eight over six scoreless innings and Ryan Aguilar hit a solo home run in the second, but the Carolina Mudcats lost a two-run lead in the seventh inning while falling to the Hillcats 3-2 on Monday night at Five County Stadium in a Class A Carolina League baseball contest. Webb ended up with a no-decision in Monday's series opener, but did so after turning in one of his best starts of the year. STANHOPE -- Southern Nash's Robbie Kennedy has received one of the state's most prestigious honors. 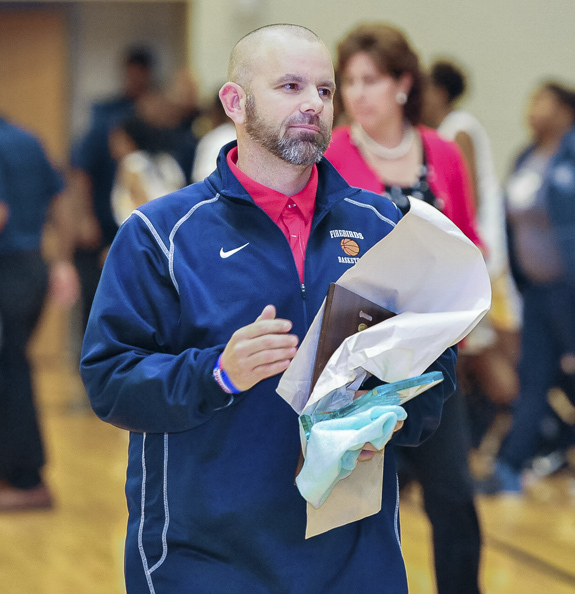 Kennedy, a Wilson native who has spent nearly two decades at SNHS, has been selected as the head coach for the East Boys Basketball Team at next summer's North Carolina Coaches Association's East-West All-Star Game. RED OAK -- Prediction surprises were few Monday when the Big East Conference held its annual Media Day on the campus of Northern Nash High School. 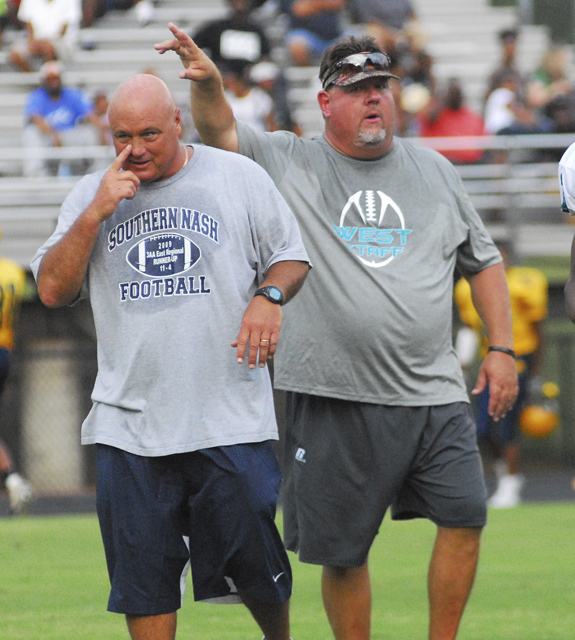 Probably the biggest suspense was which program between area powers Rocky Mount and Southern Nash would be tabbed as the team to beat in the league's always-competitive football standings. LOUISBURG -- Ted Awana's initial campaign as the Louisburg College men's soccer coach will begin August 25 with a home meeting against USC-Union. Kickoff is slated for 2 p.m. at Ronald May Field on the LC campus. Awana is a former assistant at LC who was the head coach in 2017 at Wake Tech CC. 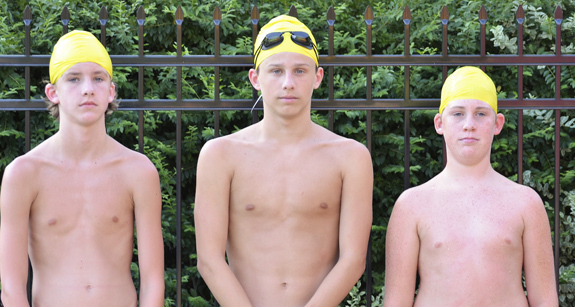 (L to R) Jayden Cash, Gavin Miller and Bryce Marshall were strong 13-Over Boys standouts this season for the Town and Country Stingrays Swim Team. While a loss of visual acuity is often associated with senior citizens, various diseases and conditions of the eye can affect children. 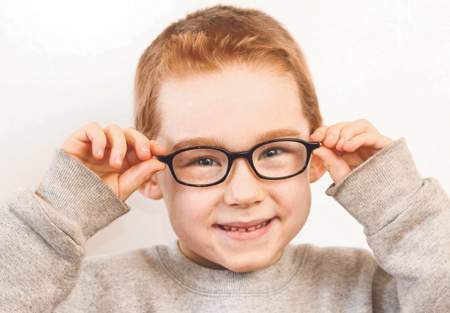 The American Academy of Ophthalmology says many conditions and diseases can impact a child's vision. Early diagnosis and treatment are critical to improving a youngster's eye health and helping him or her see and feel better. For many people, summertime is synonymous with trips to the beach, water sports and recreation. Even though summer warmth is a welcome break from winter weather for many people, heat is one of the leading causes of weather-related fatalities, resulting in hundreds of deaths each year in the United States alone. Ensuring summer recreation plans remain enjoyable means keeping an eye out for heat-related illnesses and other dangers. LOUISBURG -- Louisburg police officers are looking for a suspect in an armed robbery this week. According to Lousburg Police Chief Jason Abbott, officers were dispatched to a call of an armed robbery at BP Station on Bickett Boulevard next to the Dairy Queen just before 10 p.m. on Tuesday. LOUISBURG -- A showmanship clinic will be held this Friday, Aug. 10 in the Extension Center's Annex from 2-4 p.m. in Louisburg. Youth will learn sheep body parts, nutrition, basic health husbandry, and how to prepare for the upcoming regional livestock shows including the NC State Fair. 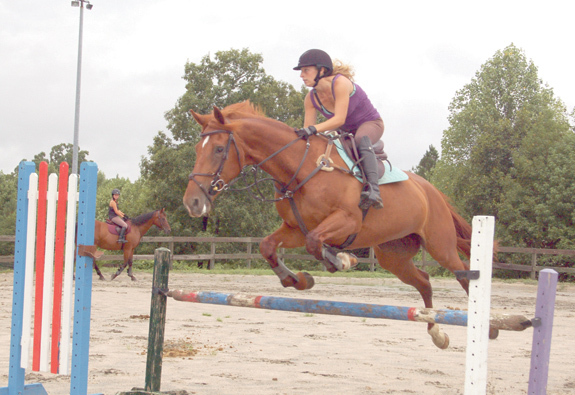 The 4-County 4-H Livestock Show will be held on Tuesday, Aug. 14, at Double D Equestrian Center near Louisburg. YOUNGSVILLE -- Franklin County Public Utilities staff reported a sewage spill earlier this week. The culprit: an electrical malfunction. According to authorities, 5,012 gallons of wastewater was discharged Tuesday evening into Richland Creek, a tributary of the Neuse River Basin. PILOT -- A Franklin County sheriff's deputy avoided serious injury Monday night after being involved in a wreck. 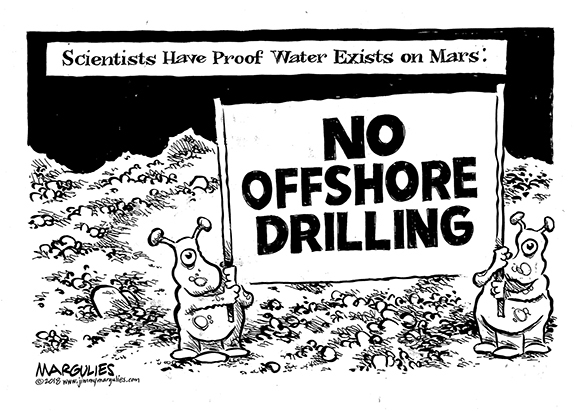 According to authorities, Dep. D. Hicks was responding to a vehicle wreck with injuries on U.S. 64 just before 5 p.m. on Aug. 6 when he passed a vehicle. After getting back into his lane, said Franklin County Sheriff's Office Chief of Staff Terry Wright, Hicks' vehicle hydroplaned, ran off the road and hit a tree on the passenger side. EPSOM -- More than 200 firefighters from 25 agencies and four counties worked nearly 24 hours to knock down a hay fire that gutted a barn in Vance County last week. LOUISBURG -- A local land conservancy organization has brought on two summer interns to aid in their efforts to protect and preserve natural locales. 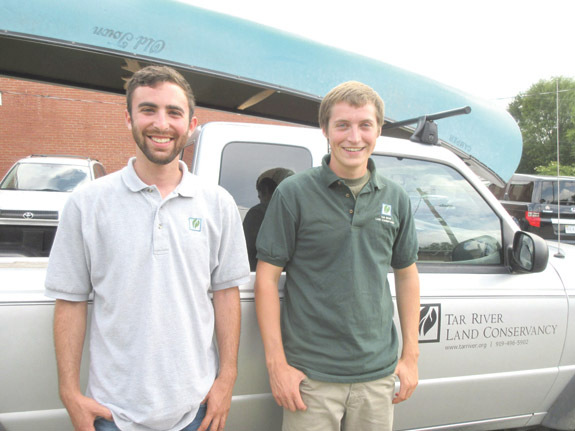 Zachary Cohen and Jacob Thomasson are serving as stewardship interns for Tar River Land Conservancy this summer. Their duties include inspecting many of the TRLC's protected properties located across an eight-county region. Youngsville native Jessica Roberson has joined the staff of Stonewood Properties, Inc. and will be working as a realtor focusing primarily on the Franklin County, Wake Forest and northern Wake County areas. Being a life-long resident of Youngsville, Roberson brings a ton of knowledge about the local area to her real estate clients.